Sydney and the East Coast have seem a huge amount of rain lately. It seems like a never ending wave of rain and storms has been hitting us. Even when it has stopped briefly the humidity has been a killer. At least we have winter to look forward to. This unseasonable weather is a great time to look at a nice water friendly hat for your next marketing campaign. 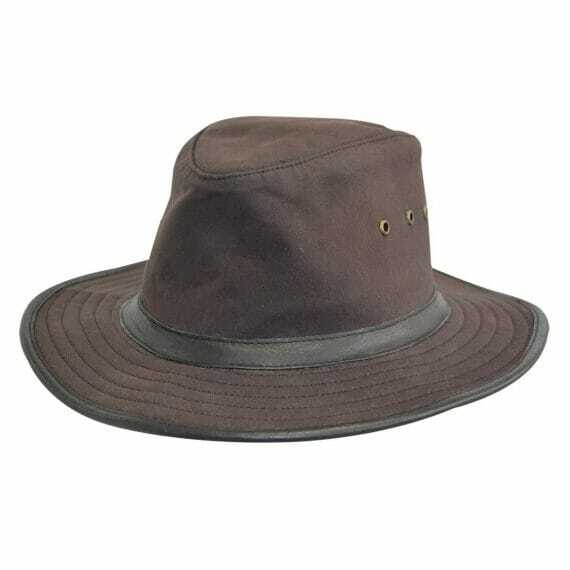 We Aussie’s love the outdoor and what better way to keep your head dry then the Southerner Oilskin Hat. This great hat is highly resistant to wind and rain and offers protection from the elements when working outside. It also looks great. Promotional headwear including hats and caps are a great way to get your brand out in the community. A well worn hat or cap is testament to the longevity of your brand and the customer willingness to associate with it. Always think of a custom embroidered cap or printed hat as a way to enhance customer loyalty. For the cost of a cup of coffee or milkshake your customers will love you.